Consider Muscatine to be your group’s next destination. Stay the day or stay the week, the Muscatine CVB will help you plan a memorable itinerary. To get the most out of your visit to Muscatine, you will want to take time to learn about Muscatine’s role in the pearl button industry. Be sure to tour Iowa’s oldest operational grist mill and attend a command performance of the Eulenspiegel Puppet Theatre. There’s no limit to the wonderful limit to the wonderful experiences members of your group will have when you book a tour of Muscatine especially for them. Our community loves to host groups of all sizes. 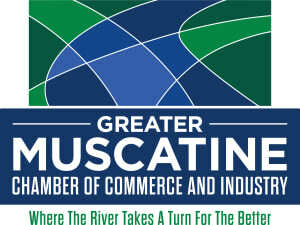 The Muscatine Convention and Visitors Bureau will help you determine which attractions your group would enjoy visiting. We will make necessary arrangements for your tour, including dining and lodging recommendations that will fit your needs. When you visit Muscatine, you can count on our free step-on guide service to make the day go much smoother. Our experienced step-on guide will act as your community ambassador who can take care of the details so you have time to tend to your guests. We can customize your tour to fit specific interests you may have.